In 7 Habits Covey (1989) speaks of four generations of management style (p. 149, 150); and in Principle-centered Leadership he refers to four paradigms of management (Covey, 1990, p. 176). 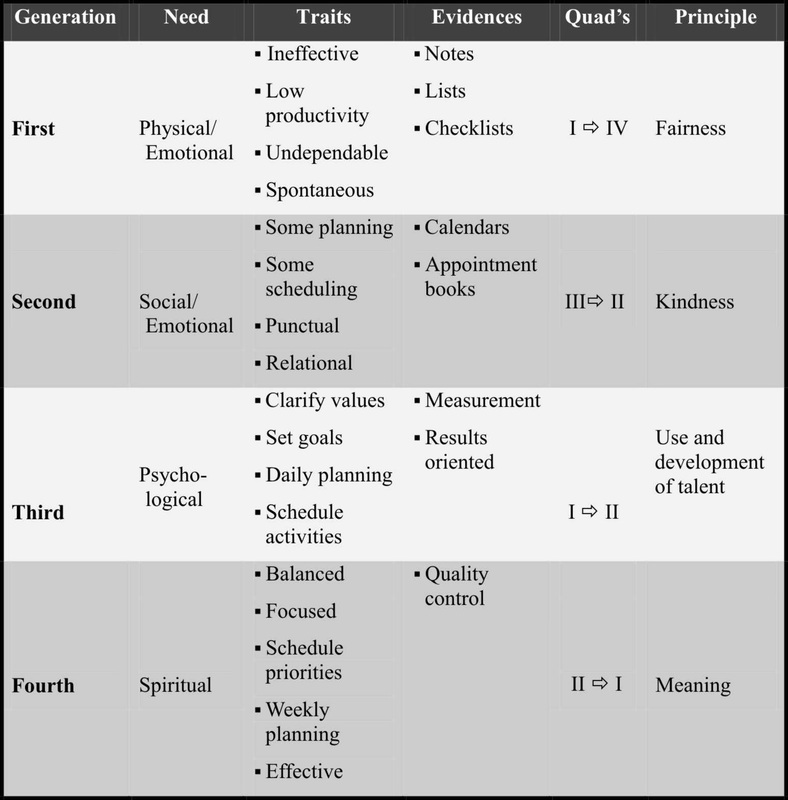 The following represents a combination of the four generations along with some of the elements from his table in Principle-centered Leadership, and a link to the time management matrix (Quad’s). The Quadrants indicated represent a dominant and secondary Quadrant; however, they do not represent exclusivity, but rather priority.